The Lord’s Resistance Army, or LRA, in existence for more than two decades, is the rebel group responsible for Africa’s longest running armed conflict. Led by Joseph Kony, the inner workings of the LRA remain relatively unknown to the outside world, including the Ugandan army officers and policy makers in Africa and the West who are leading efforts to remove the rebels from the battlefield. This has been particularly true during the last 22 months, a period in which the LRA has undergone significant changes. 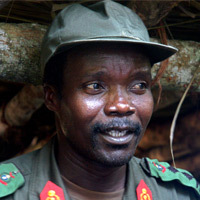 Despite a wealth of information on the LRA pre-December 2008, misconceptions and myths related to Kony’s group remain. The ongoing Ugandan army offensive against the LRA and renewed interest on the LRA issue in the West spurred by a bill recently signed in the United States necessitate a better understanding of how the LRA operates. A thorough analysis of the LRA’s modus operandi, leadership, and aims is lacking, even though substantive assets and valuable time are spent fighting the rebels by the Ugandan army with support from the U.S. government. It seems overtly difficult to engage a group of fighters, whether militarily or peacefully, without knowing what they stand for. Such lack of understanding, arguably throughout the entire existence of the LRA, has played a significant role in the failure to resolve the conflict. Erroneous descriptions of the LRA as a Christian fundamentalist group composed of drugged children led by a madman have led to a profound underestimation of the strength and military ability of the LRA. Based on extensive research in all areas where the LRA operates, as well as in northern Uganda where the LRA originated, this paper aims to shed light on the nature of the “new” LRA in the hope that some of the information presented here can help to finally bring an end to the conflict that is taking place outside of Uganda but which continues to affect northern Uganda also.